San Diego’s newest dining, drinking and cinematic experience will open in downtown La Jolla at the former Jonathan’s Market at 7611 Fay Avenue on Wednesday, September 30. 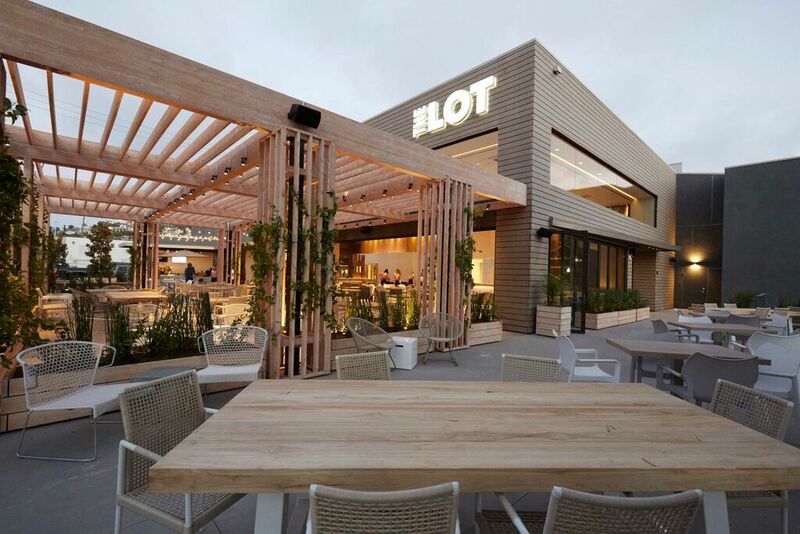 Promoted as a "lifestyle destination," The Lot features seven theaters, a full bar, a café and a chef-driven, family-style restaurant that will be open daily for breakfast, lunch and dinner. 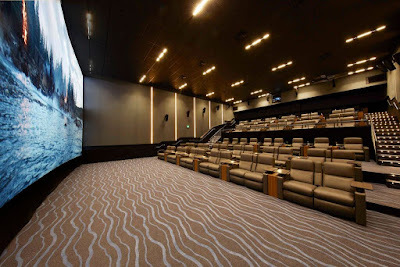 A stunning space designed by Ezequiel Farca, The Lot will feature a luxury cinema with seven auditoriums, each with between 55-70 leather seats and outfitted with the latest in comfort, audio-visual and cinematic technology. 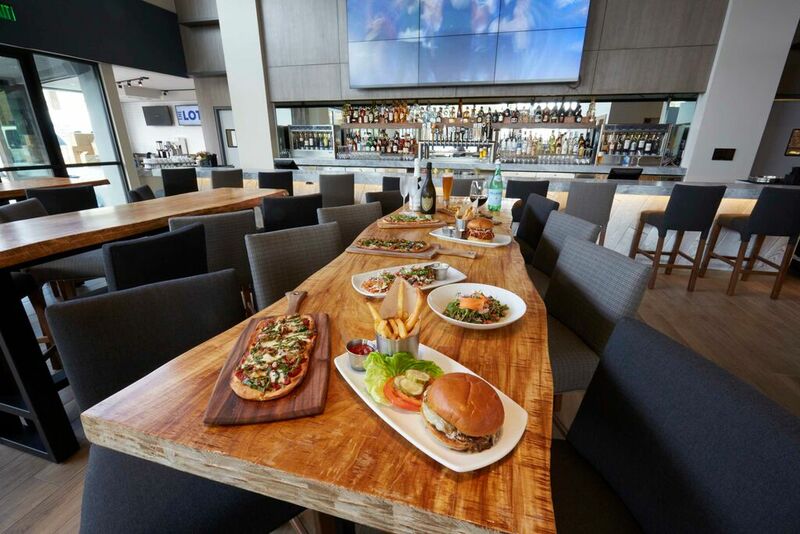 Food and drink service will be available at your fingertips and delivered right to your seat. The dedicated coastal-casual restaurant helmed by acclaimed local chef Matt Sramek (previously Chef de Cuisine at Avant at Rancho Bernardo Inn and Amaya at The Grand Del Mar) will offer organic and vegetarian food options with an emphasis on farm-to-table cooking within an indoor/outdoor restaurant setting, patio, and street-side dining venue. There is also a well-appointed bar spotlighting craft cocktails, beers and wines, as well as a dedicated café serving locally, sourced and roasted coffees, plus house-made pastries made by chef Alejandra Pitashny. THE LOT restaurant will feature a wide selection of Mediterranean and Mexican-inspired dishes, from small and shared plates such as yellowfin tuna tartare with radish, pickled fresno chili, avocado and charred lime; plus a variety of Mediterranean flatbreads including roasted mushroom, spanish chorizo and fava bean and chickpea falafel; and inventive large plates such as the crispy mediterranean Branzino, and veal schnitzel “Holstein” with fried organic egg, capers, anchovy and french fries. The venue is set to open with a lineup of box-office hit movies including “Black Mass,” starring Johnny Depp; “Everest;” “Hotel Transylvania 2;” “Maze Runner: The Scorch Trials;” “Sicario,” featuring Emily Blunt, Josh Brolin and Benicio Del Toro; “The Intern,” starring Robert Di Niro and Anne Hathaway and “The Martian,” starring Matt Damon and Jessica Chastain. From the minds of part of the creative team that developed Cinépolis luxury movie theaters, The Lot will feature new releases, box-office hits and independent films. La Jolla resident and The Lot owner Adolfo Fastlicht has more than two decades worth of experience in the upscale cinema industry. In addition to being a longtime partner in Cinépolis, Fastlicht also launched the Cinemex chain of luxury theaters in Mexico, which was sold off in 2002. With his partner, Carlos Wellman, the pair started Backlot Hospitality to launch The Lot in San Diego. In addition to the La Jolla location, another outpost is under construction in Liberty Station, planned to debut this fall/winter at the 20,000 square foot, former Luce Auditorium in Point Loma. THE LOT La Jolla café will open at 6am daily and will serve breakfast, coffee and a vast selection of baked-fresh-daily pastries. THE LOT La Jolla restaurant will open for lunch, dinner and after-dinner service, daily, with movie screenings beginning at approximately 11am, and final screenings at approximately 11:30pm. For more information, visit thelotent.com.